New for 2019! We will be trying out the SLACK app and communications platform for casual communications among our Fleets at Club Locarno. Members, visit the SLACK signup link HERE. Echo 18 open water shells (5) The Echo's are the mainstay of our rowing fleet, and our main teaching boat. 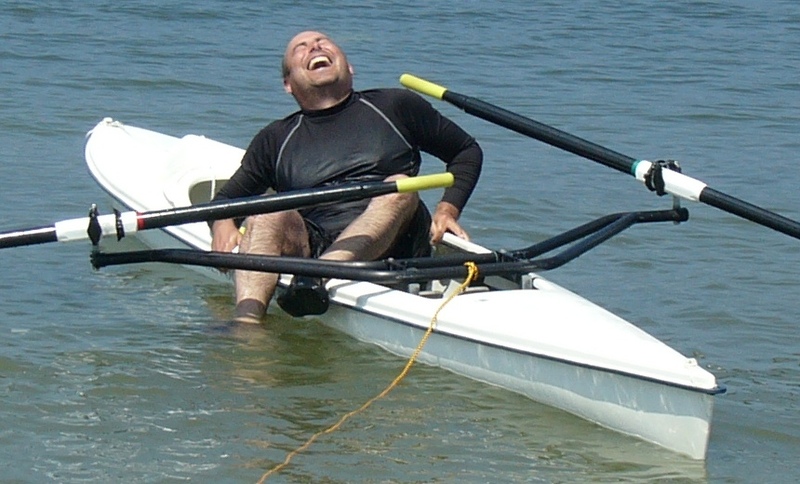 They are 18 foot, low-volume shells, very similar in appearance to a sea kayak, with a unique folding rigger system that makes them easy and fast to launch and land. Designed for all skill levels, on the water they are fast, stable, lightweight and highly maneuverable, and off the water they are easy to transport and move around as well. The Echos are smooth, fast and responsive in rough water and very safe. They are difficult to capsize, tough to swamp, and self-bailing when rolled upright again. Experience rowers will initially find it difficult to maintain a steady course (they have no skeg) but usually learn to love their agility and responsiveness. MAAS Aero (2) These are great all around shells. Stable enough for a dedicated novice to learn to row, the Aero has also enjoyed years of racing and touring success. Aesthetically, the design is very clean and uncluttered and is enhanced by the beautifully crafted carbon fiber composite riggers. 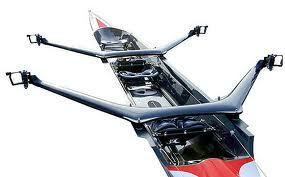 The Aero offers the quick responsive feel of a higher performance boat yet is less demanding when the water is rough. They are a bit more difficult to launch and land than an Echo, and require a separate checkout. MAAS 24 (1) Faster and less stable than our Aero, this shell was designed specifically to be the fastest boat an experienced sculler could row in open water. 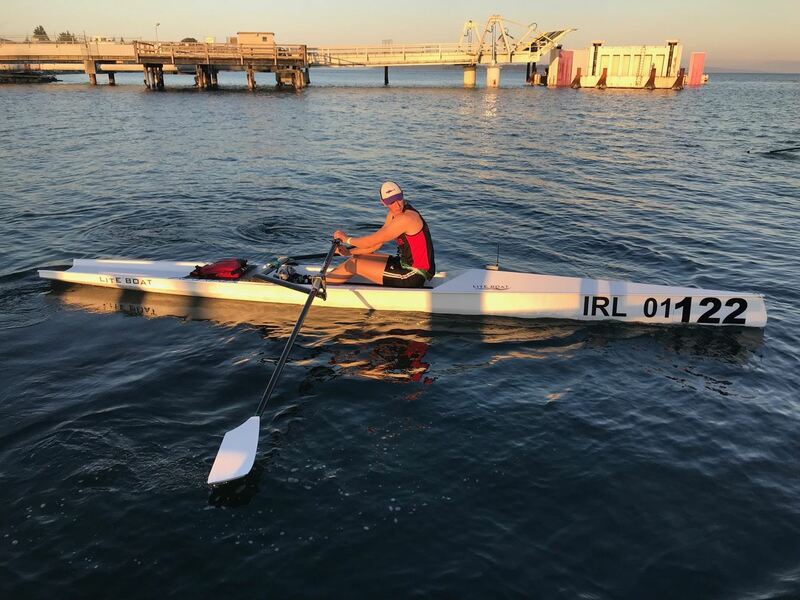 Speed very close to that of a single scull makes the 24 ideal for flat water racers concerned with training regardless of water conditions. As with the Aero, it is a bit more difficult to launch and land than an Echo, and require a separate checkout. MAAS Flyweight (1) The Flyweight is designed as a high performance open water racer. For light rowers the Flyweight is substantially faster than any other open water shell, including the Maas 24. The Flyweight is also an exciting and responsive shell for advanced recreational rowers and an excellent trainer for flat water racers. Not a cut down ‘big boat’, Maas has designed a completely new shell; the hull shape, foot stretcher and cockpit size, and rigging geometry are all scaled specifically for rowers under 150 lbs. LiteBoat LiteRace1x The Latest addition to the ClubLocarno Rowing Fleet, the LiteRACE 1X was designed for sporty sessions and coastal rowing competition. Narrow and stable, it is fast in all types of seas, including waves. It is also very enjoyable on calm waters thanks to its exceptional glide. WinTech Explorer 2x (Double) The is a 30', high-performance recreational shell. It is stable enough for open water, and goes like a rocket. Also available for the Explorer, a pairs rig and a pair of sweeps, for those that find sculling not challenging enough. Alden 16 Ocean Shell The Alden 16 is the last of our original Alden fleet. It delivers satisfying speed and stability, a dry ride and is ideal for local conditions - those who love it, love it alot. 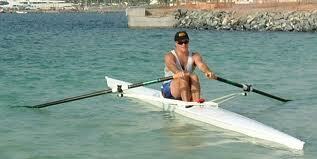 It uses the removable Oarmaster, which can be mounted on a picnic table for effective dryland training.